Susan counsels clients on state and federal labor and employment matters in both union and non-union settings. Massachusetts and Illinois. Also admitted to practice in all of the federal courts in Massachusetts and the United States Supreme Court. Susan counsels clients on state and federal labor and employment matters in both union and non-union settings. In her practice, Susan has counseled employers on a wide variety of workplace issues including employment discrimination; sexual harassment; leaves of absence; employee discipline and terminations; performance evaluations; and other employment matters. Susan has also helped clients draft employment policies and employee handbooks; severance agreements; and non-competition, non-solicitation and non-disclosure agreements. 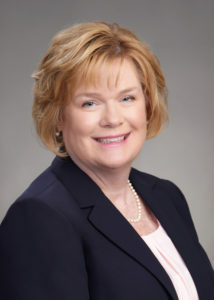 Susan has counseled employers in a broad range of industries including healthcare institutions (hospitals, rehabilitation facilities, nursing homes and medical groups); educational institutions; technology firms; professional firms; retail establishments; financial services companies and various manufacturers. Susan has represented employers in federal and state courts, in arbitration proceedings, and before federal and state agencies, including the Equal Employment Opportunity Commission, the Massachusetts Commission Against Discrimination, and the National Labor Relations Board. Susan began her legal career in Chicago working as an associate for Laner, Muchin, Dombrow and Becker, Ltd, a boutique labor and employment firm. Susan moved to Boston to join the Labor and Employment Department of Hale and Dorr LLP. Susan continued to work for Hale and Dorr on a part-time basis while raising her children. Later, when colleagues from Hale and Dorr left to start their own firm in Boston, Susan joined them, working for Scibelli & Whiteley, LLP as of counsel. She continued working with those colleagues through name changes in the firm and mergers - eventually becoming part of Barclay Damon LLP.